Copier depot does short term rentals for Legal War rooms, conferences, trade shows and any other type of rental situation needed in the Austin and surrounding area. Below is an idea of our pricing list. We can also customize an order specific to your needs. 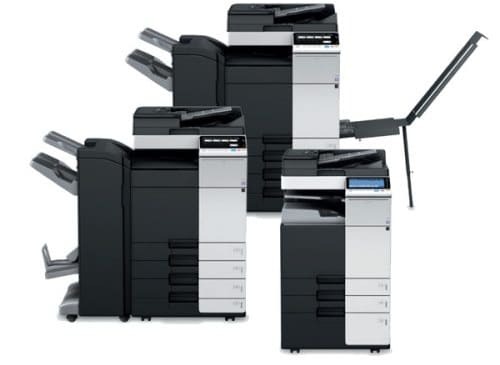 $250 per day for any black and white copier 45 pages per minute or under. includes 2,500 BW copies with overage billed at .015. $300 per day for any color copier 45 pages per minute or under. Includes 2,500 BW and 500 color. $1,000 per week for any machine 45 pages per minute or under. Includes 5,000 BW and 500 color. $150 for networking of more than 2 computers.